Can You Afford the Shortcomings of a “Bolted on” Field Service Management Platform? Field Services Organizations are unique. Whether their client base is residential or commercial, these companies have to control every single moving part of the organization. The right person has to be in the right place at the right time, and they have to have the right equipment and inventory when they get to the site. Keeping everything (and everyone) organized is a challenge, but it’s only half of the battle. Add to this the financial perils of contract management under the new FASB standards, and you often realize that everyone is starting to feel the strain placed on you by outdated, disparate, or undersized systems. 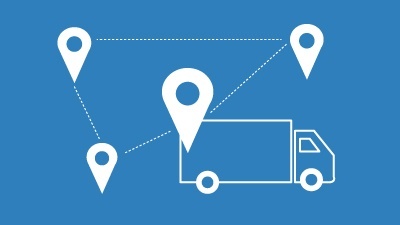 Too often, companies will rely on “bolted-on” field service management functionality—technologically stable and powerful, but disconnected from other core applications. Luckily there is a solution that brings you the best of both worlds—a complete view of your customers and field service activities and a back-office solution that fully integrates with CRM, dispatching, and more. In a recent blog, we provided a brief overview of the different “editions” of Acumatica, focused and customized functionality for different types of companies. 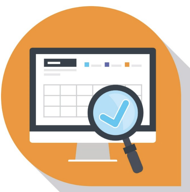 Industry Editions are one of the many reasons that Acumatica is unique and receives high usability ratings from analyst firms like Nucleus Research. Rather than offering a generic software with a costly customization process, Acumatica has studied the market to find out the unique needs of companies in Field Service, Distribution, Manufacturing, and more in order to design a product that meets a company’s specific needs. This design process simplifies the implementation process, makes for a more customized software without excessive customization cost, and ultimately makes for a software that delivers on its promises. The Acumatica Field Services module is designed to bridge the gap between home office and the field, providing a real-time connection between the two and streamlining the process of dispatching, scheduling, and more. This web-based application makes it just as easy to access the software on mobile devices as it does on a computer, giving everyone the visibility they need—when and where they need it. One of the biggest problems with many of the field service applications today is that they are great for dispatching, scheduling, and management. However, that’s all they are—powerful field service applications that are at best bolted on and at worst completely separate, requiring a complex process of downloading and manipulating data before you can even send it to the back office for accounting. Acumatica Field Services Edition was engineered to address the challenges faced by companies like yours, offering not only the dispatching, scheduling, inventory, and contract management functionality of a top tier field services management software, but also one that is built into the ERP and CRM platform. This built-in functionality allows the right data to flow between each module—field service, inventory, CRM, ERP, and any other functionality you need—to keep everyone up to date in real time. If you’re looking to increase customer satisfaction, reduce churn and increase profitability while minimizing the stress that your finance and accounting teams face, Acumatica might be the answer. We understand that the path to improving your business management software is a long and perilous journey, but we also know that with the right plan in place, you can help your team make the most of its investment in the cloud. 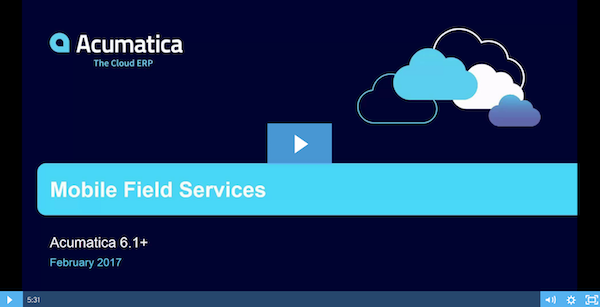 We invite you to learn more about our work with Field Services companies here, discover the power of Acumatica Field Services Edition by watching this video, and contact us for a free consultation and to request a demo. At Cloud 9 ERP Solutions, we work with a variety of firms who need advanced, industry-focused field service functionality, and we have seen many of our clients in the audio visual implementation and infrastructure consulting world grow and thrive with Acumatica Cloud ERP. On November 29, 2018, we will present insights on the importance of a customized, integrated, and user-friendly business management platform for companies in this industry, sharing one company’s journey from disparate applications to one true cloud solution. Click here to learn more about this event.